12 The Edge * (0:00) ??? (FRCD402) original release 2009 by Frontiers Records. Produced by Bob Kulick and Brett Chassen. Mixed by Brett Chassen and Bob Kulick. Recorded and Mixed at Office Studios, Van Nuys, CA. Additional Recordings at Westtown Sound, NY and KatsaroSongs Studios, NY. 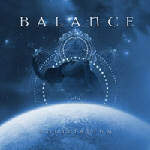 Frontiers Records is proud to announce the return of BALANCE with the release of the band's anticipated new album entitled "Equilibrium" on February 20th 2009. Melodic Rock and AOR scenes are both made up of legendary albums and bands, which, as time goes by, become even more respected among the community of fans. Balance are exactly one of these bands, whose name and reputation, like good wine, has stood the test of time for more than two decades. Formed at the end of the 70's by three promising talents out of the NY music scene: singer Peppy Castro (formerly of The Blues Magoos, Wiggy Bits and Barnaby Bye), the classically trained keyboardist Doug Katsaros and guitarist Bob Kulick (who had already appeared as a guest musician on KISS recordings and on the Paul Stanley solo album in 1978 as well as playing in Meat Loaf's band), Balance soon inked a deal with Portrait Records who released the band's first eponymous album in 1981. While the song writing and production quality shone all over the record and the band were immediately on the same level as contemporary luminaries such as Toto, Survivor or Journey, the album for which Balance are still today highly regarded is the follow up "In For The Count" released in 1982. The line-up was completed by former Speedway Blvd. member (the band that also featured the future Dream Theater keyboardist Jordan Rudess) Dennis Feldman on bass and Chuck Burgi (ex Brand X and later with Rainbow and Red Dawn) on drums. On "In For The Count" the band kicked in with heavier guitars and outstanding production skills, with a song writing talent that was not afraid to experiment while still keeping their strong Melodic Rock trademark intact. In a perfect world that record should have catapulted Balance to the same level of popularity as Journey, Foreigner or Survivor, however fate and the label's lack of support decreed the end of the band. As proof of the multi-talented artists involved in Balance, all members went on to brilliant careers in music in the following years. Kulick, continued collaborating with the members of KISS and Meat Loaf and went on to form SKULL and MURDERER'S ROW, before becoming a Grammy Award producer in LA. Katsaros played, sang & arranged for KISS, Rod Stewart, Cher, Bon Jovi, Sin�ad O'Connor and Aerosmith among others and worked in several rockin' Broadway shows, including The Rocky Horror Show and Footloose. Peppy collaborated and sang on records by Diana Ross, KISS, Laura Branigan and Michael Bolton before starting to work in the jingles business. The three of them kept in touch and had the chance to work together on several projects, however they could never resume the Balance concept and complete their musical circle, so as soon as they got a proposal from Frontiers Records, and after the recent reissue of their classic "In For The Count" album on Rock Candy / Universal, they decided the time was right to start working again, in Doug Katsaros words, on "tunes mostly originally written for a third album, and shelved at the collapse of the record company". Completed with the help of Bret Chassen on drums (who also co-produced the album together with Bob Kulick), the resulting album "Equilibrium" is truly a labour of love: a record written and crafted with the highest respect for the fans and the same enthusiasm as the old days, bringing back the trademark sound and updating it to the production techniques and taste of the new millennium. "All the guitars, vocals, synths and mix sounds are based on the original two records", explains Katsaros, "we took great care in making certain there was nothing that could not have been performed in the 1980s, even the sequences. Also, the songs are authentic to the time period, since most of them were written in the time period! And we always had astonishing background harmonies and Peppy and I worked hard to keep that up as well. And you can't beat using the original members to get an authentic sound! It was also great fun to recreate the whole blend of a tight intricate keyboard part as a counterpoint to Bobby's brilliance."